Series: The Acer Aspire Switch Series is a series of portable and hybrid laptops. The design of the laptop models is stylish thanks to their attractive looking aluminium lids. The hinge of the Windows systems allows users to flip, rotate and even detach the screen from the keyboard in a snap. Each model in the Switch Series has different processors ranging from 1.33 GHz Intel Atom Z3745 up to Intel Core i5-6200U processors. There are also different options for the graphic card ranging from Intel HD Graphics up to Intel HD Graphics 5300. 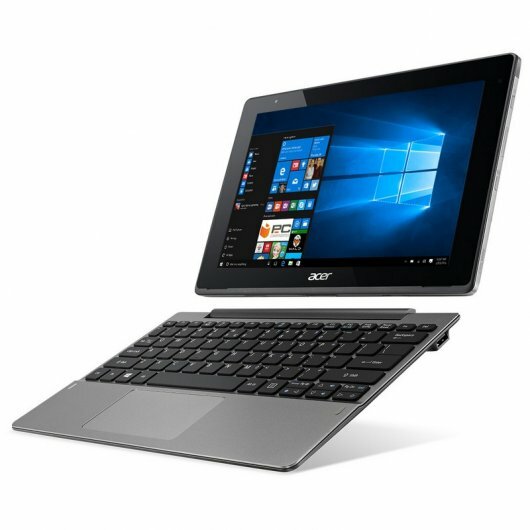 In terms of storage, Acer offers two different options; 32 GB and 64 GB. There are 10.1-inch and 12-inch models. The displays are Full HD, IPS and they provide good contrast and colors from all viewing angles. In addition, they are protected by Corning Gorilla Glass 3 for additional damage and scratch resistance. 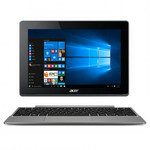 The tablet part of the laptop has a USB 2.0 port, a micro HDMI port and a headset jack, while the keyboard dock has an additional USB 2.0 port. The weight of the laptop starts from 1.05 kg up to 1.6 kg depending on the model the user selects. Intel HD Graphics (Cherry Trail): Integrated graphics card in the Cherry-Trail SoCs. Based on a Broadwell GPU (Intel Gen8) and supports DirectX 11.2. Depending on the SoC offers 12 or 16 EUs. Only some 3D games with very low demands are playable with these cards. » Further information can be found in our Comparison of Mobile Graphics Cards and the corresponding Benchmark List. Z8300: Soc with an integrated quad core Atom processor clocked at 1.44 - 1.84 GHz, an Intel HD Graphics GPU and a dual channel LPDDR3-1600 memory controller.» Further information can be found in our Comparison of Mobile Processsors.